Imagine that you see an ad that says “Help Wanted”- jobs in factories, construction, households, and fishing boats. Hours: 12-15 hours a day; must leave your home country; working conditions-poor; pay below minimum wage. Hundreds of thousands of migrant workers have answered ads like this in order to find work in Taiwan, many of them young adults, coming from places where they cannot find employment. They pay thousands of dollars to people called “brokers” to help them get these often dangerous and difficult jobs. 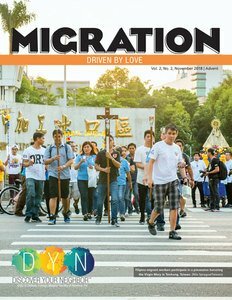 Maryknoll Father Joyalito Tajonera, who works to help migrants like these in Taiwan explains, “People are not running away from country or family. They are being forced by economics; because of their love for family, they are being forced by the situation to go out and find jobs to support their family.” Read more about Fr. Joyalito’s ministry at DiscoverYourNeighbor.org.